Affordable Waterfall Pond Supplies and Installation! Clear Water and No Leaks, Guaranteed! You can't always escape the hustle and bustle of daily life with a drive to a mountain waterfall or forest stream, but the installation of a backyard waterfall or garden pond can bring a surprising amount of tranquility and relaxation, and enhance the value and comfort of your home! Waterfall Pond Supply in Mt. 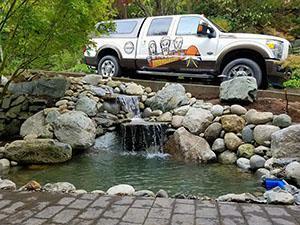 Vernon has helped thousands in the North Sound area fulfill their backyard waterfall pond dreams. We provide professional waterfall installation and pond maintenance for those who want hassle-free service that's guaranteed. And for do-it-yourselfers, we have all the waterfall pond supplies and classes you'll ever need to build your own waterfall pond. We'll help you build your garden pond or water feature like a pro, and we have a huge pond supplies store with several waterfall pond features for inspiration. With everything needed for waterfall pond building and pond maintenance at affordable prices, our business is building backyard bliss! 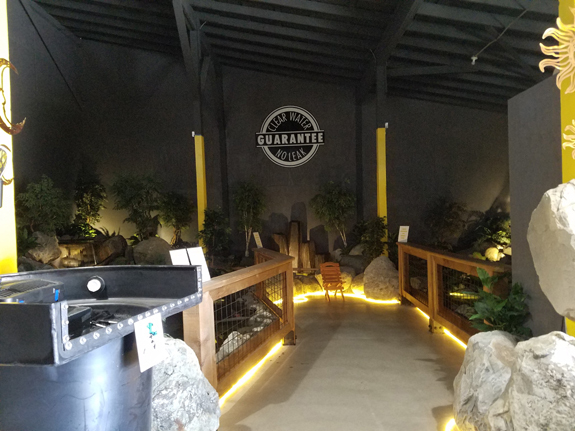 So for everything you need for beautiful backyard pond or waterfall features, call on our waterfall pond design experts to have you relaxing by clear water with no leaks, guaranteed. We have pond pumps, pond liners, waterfall pumps, pond filtration systems, garden pond tools, pond filters, aquatic plants, waterfall pond building rocks, UV lights, pond building kits, pond vacuums, pond maintenance tools and so much more. Come by our pond supply store in Mt. Vernon for inspiration, or if you have a specific idea in mind, we'll work closely with you to make your prefect waterfall pond an affordable reality. 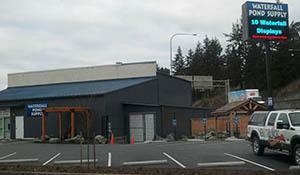 Give us a call at 360-529-4813 to get started. Call 360-529-4813 Today to Learn More!